The IPOB leader said this while attending a rally organised by his members in Imo state. The leader of the Indigenous People of Biafra (IPOB), Nnamdi Kanu has said that he does not mind to die for Biafra. “I will die installing Biafra. It is Biafra or nothing. I am in Owerri to continue with the message of Biafra. Nobody can stop us. We don’t want restructuring; it is either Biafra or nothing. This is coming after a coalition of youths in the South-East warned Kanu not to hold any rally in Imo state. 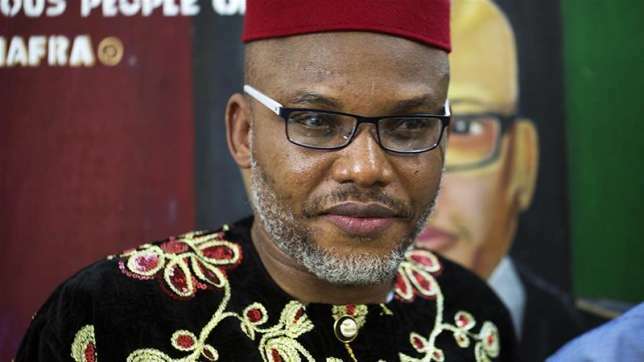 Nnamdi Kanu recently told newsmen that there will be no election in Anambra state if the Federal Government does not a hold a referendum.